Liverpool have confirmed their proposal to combine their first-team and academy training grounds at the current Kirkby academy site. The club have long planned to merge facilities for their senior and youth sides, and this was propelled by the arrival of Jurgen Klopp, who pushed heavily for the move. Backed by Fenway Sports Group, the German has been granted his wish, with plans for a £50 million redevelopment at Kirkby revealed on Tuesday afternoon. Initially covered in the Liverpool Echo, the proposal has now been confirmed by the club, with chief operating officer Andy Hughes explaining. “Our proposed plans to bring the first team and young players together in one location is a really exciting proposition,” he said. “The scheme includes state-of-the-art facilities which will be used to support the development of our players and provides all-weather training options. “We are also working closely with Knowsley Council on plans to make substantial improvements for the local community. “These include new and improved football pitches and sports facilities to support grass roots and amateur football teams, and developments to the surrounding areas for local residents. “We recognise that Melwood has played a significant role in the club’s success and forms an important part of our history. 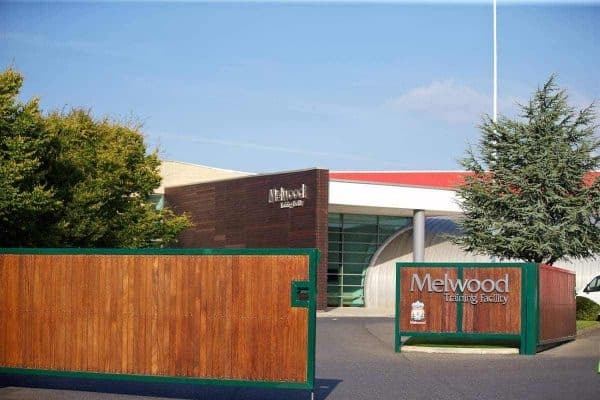 “However, the Melwood site is limited in space and is unable to accommodate our longer-term ambitions, which is why we are exploring options on the Academy site. The move from Melwood will allow the club the opportunity to give back to the area, too, with the site set to be sold to provide around 160 new homes in West Derby. New walking and cycling paths will be introduced, as well as improved security, including a CCTV system in the area. Issues with wind at the Reds’ Kirkby academy facility will seemingly be alleviated with the redevelopment of the current main pitch into an indoor pitch. Before work will be permitted, a public consultation meeting will be held on March 8, at Northwood Community Centre (Gilescroft Avenue, Northwood, Kirkby, L33 9TW) from 2pm (GMT).